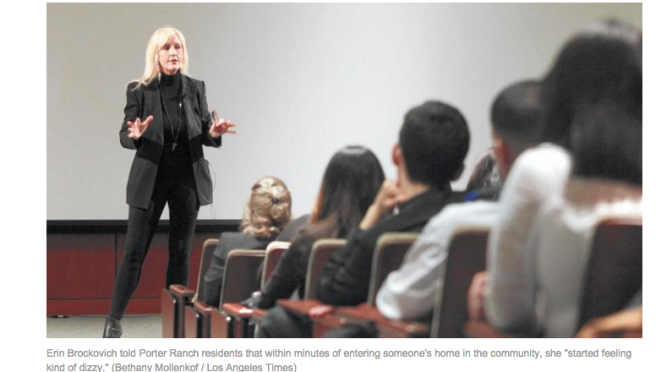 Movie-famous activist Erin Brockovich stood in front of 400 Porter Ranch residents on a recent weeknight and told a disturbing personal story. The message was clear. If Brockovich, 55, became ill after just 10 minutes, Southern California Gas Co.’s ruptured well must be harming anyone who breathes the fumes even for a short time — and for that, the victims should get compensation. Brockovich and the law firm she was advocating for, Weitz & Luxenberg, invited the residents to join their lawsuits against the gas company. Across the region, other law firms are holding similar meetings and running advertising campaigns using a mix of dire warnings about health risks and reduced property values, promises of money and practical advice to try to persuade aggrieved Porter Ranch families to join lawsuits. Since the leak began at the Aliso Canyon well nearly three months ago, at least 25 lawsuits have been filed seeking damages from the utility and its parent firm, Sempra Energy. The attorneys say their take could range from almost nothing to more than one-third of the awards, depending on the outcome of the cases. A majority of the lawsuits have been filed by residents of Porter Ranch, a community of 30,000 people in the rolling hills of the north San Fernando Valley. 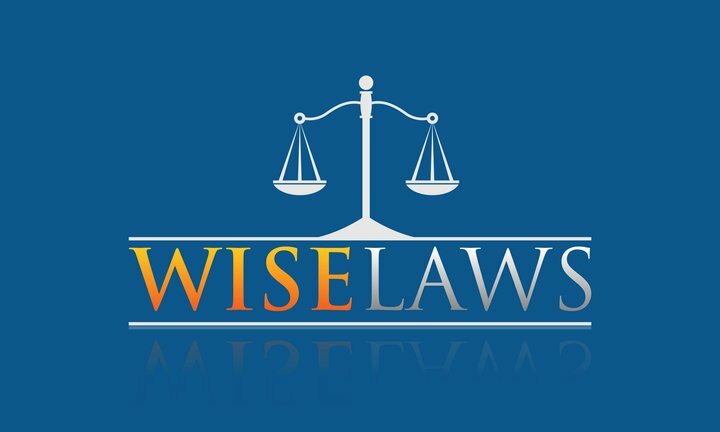 The legal actions claim negligence, hazardous activity, nuisance and trespass and seek compensation for emotional and physical injuries, as well as for diminished property values.